For Congress, Mizoram election is far more crucial than is being talked about. It’s the only state in the northeast the Congress still has a grip over. New Delhi: The assembly elections in Mizoram, which voted on 28 November, may be the least talked about, but are by no means any less significant for the key stakeholders than those in the other four states. In the 2013 elections, the Congress under Chief Minister Lal Thanhawla retained power, winning 34 of the 40 assembly seats, with the Mizo National Front (MNF) winning just five. The MNF, however, was in power in the state for 10 years from 1998 to 2008. The Zoram People’s Movement (ZPM), a pre-poll alliance comprising seven parties, is another key player in this election. 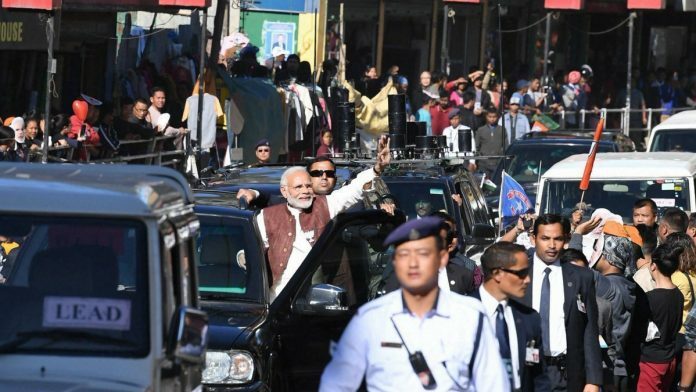 The BJP, which previously had no presence in the state, is contesting in as many as 39 seats — evidently as part of its northeast expansion strategy. For the Congress, this election is far more crucial than talked about. This was among the only three states it was in power, the other two being Punjab and Karnataka, besides the union territory of Puducherry. More importantly, this is the only state in the northeast the Congress still has a grip over. The Congress has steadily been ceding space in the region, and the BJP has been quick to pounce on the opportunity. For it, the northeast was an unchartered territory and yet, the BJP has managed to now be in power in six of the seven NE states — either by winning elections, forging coalitions or simply wresting power through other means. The party began its groundwork in the state early this year, stationing its team to begin work. BJP general secretary in-charge of the northeast, Ram Madhav, and senior Assam minister Himanta Biswa Sarma have been at the helm of strategising and keeping a close watch on the situation. For the BJP, it is essential to put up some sort of a respectable performance and show it has created space for itself in the state in order to fulfill its ambition of having a pan-northeast presence. For the regional players, meanwhile, this is a battle for survival and relevance. The MNF, for instance, has been out of power for a decade now, and would want to claw its way back in. The newly formed ZPM, on the other hand, needs to put up a formidable performance to be seen as a key player in the state’s politics. Besides the anti-incumbency against the current regime, liquor ban has become a dominant election issue. In his fifth term as CM, Thanhawla repealed prohibition in July 2014, 14 years after it was put in place. In this Christian-majority state, with a powerful Presbyterian Church, liquor ban has become a pertinent poll issue, with different parties taking specific positions. The Congress is against total prohibition, the MNF wants a complete ban and the BJP has proposed to curb liquor coming from outside the state, while encouraging only locally produced ones. The ZPM, meanwhile, has also called for total prohibition. The Congress hopes it may stand to gain to some extent given the youth of the state do not support total prohibition. Mizoram may have just 40 assembly seats, but the election here remains as keenly contested as in the other states. What, however, remains to be seen is whether the BJP will prove to be the ‘X-factor’ in this election, disrupting the existing political balance in the state and creating a decisive space for itself.